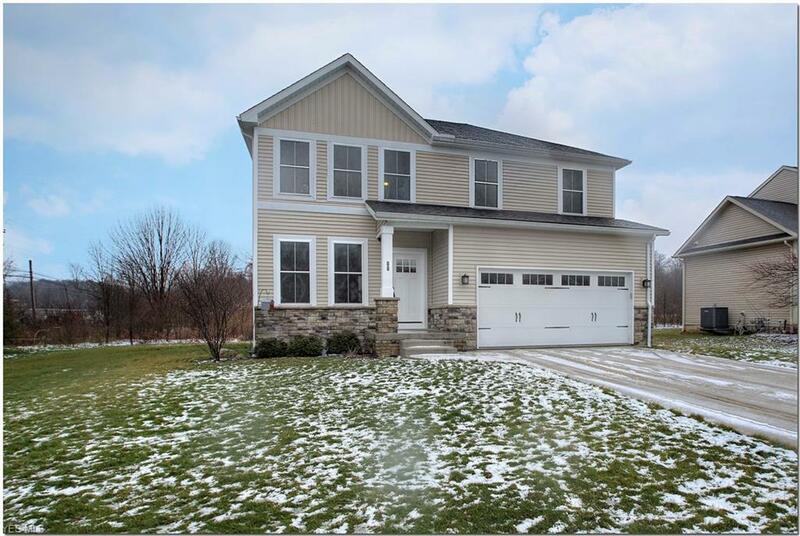 Welcome to this Stunning Tallmadge Colonial newly built in 2016! This home comes with tons of updates including stainless steal appliances, beautiful manufactured flooring, granite counter tops, huge master bath & closet, second floor laundry, theatre room in the basement, and its also a smart home! Smart home features are WeMo for the lights, Arlo of the security cameras, and a Nest thermostat. All these make living in this smart home easy and convenient. Don't miss out on this one! close to shopping, restaurants, and the Summit County fairgrounds!